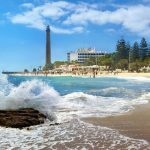 Marbella is the oldest seaside resort on the Costa del Sol in the south of Spain, the most aristocratic holiday destination and therefore ideal for jet-setters looking for glamour, entertainment, relaxation, sun, sea and sand… and nightlife. Many villas surrounded by gardens, magnificently landscaped parks, top-class hotels, luxury boutiques, an exclusive marina where luxury yachts come to moor every day, high-class sports cars… everything shows that Marbella, this charming Andalusian seaside town, caters for more elite holidaymakers. Even on the beaches, the facilities focus on a more demanding clientele, those who don’t mind paying a little more. Marbella is busy with tourists all year round, even in winter. 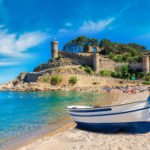 This magnificent town with its well-kept Mediterranean streets, green areas and splendid beaches, is the centre of attraction for celebrities, kings and princes from all over the world who come to stay here in summer. 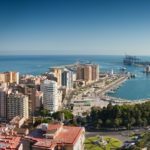 The town of Marbella is composed of different districts, of which Marbella and San Pedro de Alcantara are the most important ones. Marbella is magnificently located in a bay, surrounded by blueish mountains and the sea, which gives the town its pleasant microclimate. Warm summers, mild winters, little rain and 300 days of sun per year attract a great many visitors to Marbella every year. In summer, the temperatures are around 21 to 28 degrees; in winter, temperatures vary between 15 and 18 degrees. With its bright blue skies all year round, forget about snow chains, icy roads or big sweaters. The historic centre of Marbella is a curiosity in itself. Surrounded by a Moorish fortified wall, why not go for a pleasant stroll and take in the history of the town. In the Casco Antiguo, the old town centre, the look of the street is characterised by white houses, churches and historic squares, which are increasingly being invaded by a growing number of boutiques and shops. The Plaza de los Naranjos or Orange Tree Square is the heart of the historic centre of Marbella, the perfect place to relax on a terrace. Here you can see many 16th century buildings like the Town Hall and the beautiful Santo Cristo de Vera Cruz Chapel. Other interesting places in Marbella are the Casa del Corregidor, the Church of the Incarnation on Plaza San Barnabas and the castle walls. The Plaza de Toros is outside the centre. At the mouth of the Rio Verde, on your way to San Pedro Alcantara, you can find the ruins of the Villa Romana. For those who love nature there is a beautiful botanic garden in Marbella, as well as a Bonsai Museum. Marbella also has some interesting museums such as the Museo del Grabado Espanol Contemporaneo with its graphic art housed in the Bazan Hospital, and the Museo Ralli. 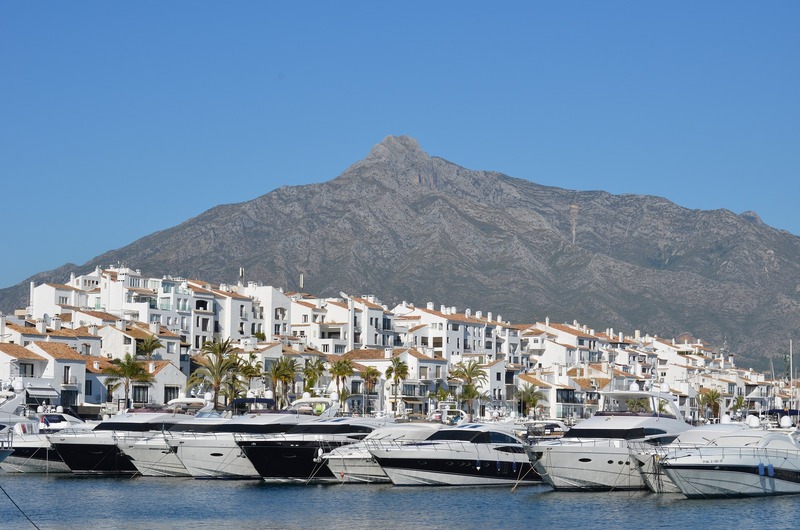 In Marbella, you can have lovely walks on its 3.7 mile (6 km) long boulevard, the Paseo Maritimo along the shores of Marbella. Many shops, restaurants and bars with terraces make this the most popular place in Marbella. Enjoy the coastal life, watch passers-by and be watched… a typical Spanish pastime. 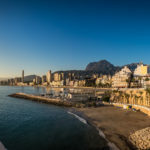 The Mediterranean coastline of Marbella stretches for 16 miles (26 km) and offers several surprisingly beautiful sandy beaches. Moreover, these beaches are protected from the wind thanks to the Sierra Blanca mountains surrounding them. 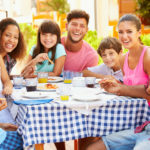 On the beaches of Marbella, you will find everything you need for carefree holidays: toilets, showers, sunbeds and parasols for rent, restaurants and bars… even families with children are catered for: well-equipped play areas and activities make sure that parents and children alike have an unforgettable holiday. If you are keen on sport, you have a wide range of water sports like jet ski, water skiing, wind surfing, sailing and diving. Marbella is also renowned for its luxury fitness centres, many tennis courts and the best golf courses in the world. 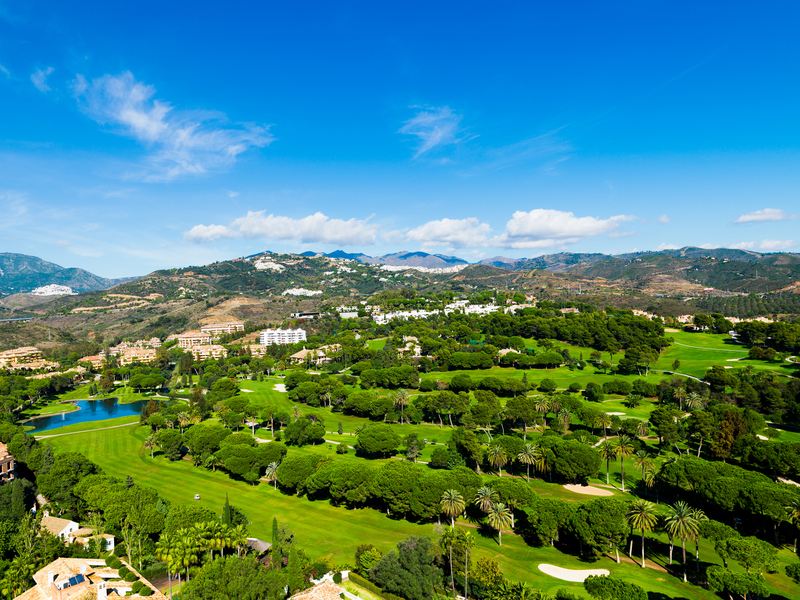 Marbella has a dozen well-maintained golf courses in natural settings with a superb view of the mountains and the Mediterranean. But there is even more to do in Marbella. For adrenaline lovers, you can enjoy moments of pleasure with tandem parachute jumps, a 4×4jeep safari, gliding and many other activities. The inhabitants of Marbella love luxury and visiting their chic, exclusive boutiques where they can use their credit cards at will to buy a designer handbag which they have seen on display, designer clothes and haute couture. For those who do not have €500 for a bag or a dress, Marbella also has cheaper markets and shops selling fresh fruit, vegetables, spices and trinkets. Young people who come on holiday to Marbella can enjoy the nightlife to the full around the marina. 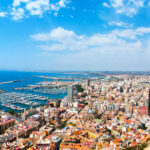 Here there are restaurants, pubs, cafés, pizzerias, discos, night clubs and a casino, all of which are open until the early hours of the morning. Book the villa of your dreams here!